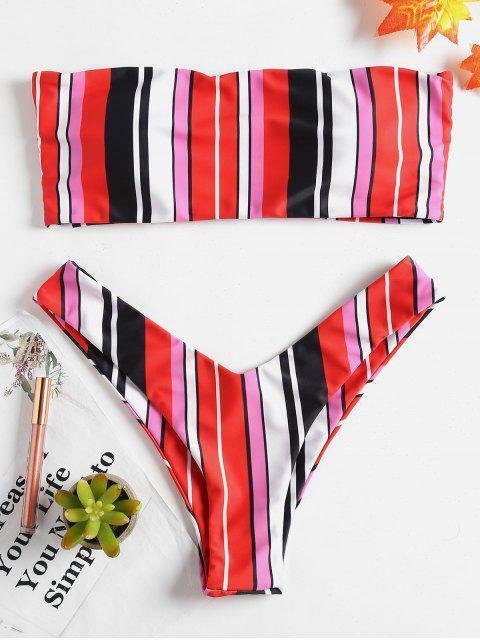 [55% OFF] 2019 Colored Striped Bandeau Bikini Set In MULTI-A | ZAFUL ..
My favorite swimsuit I’ve gotten from ZAFUL. Would highly recommend. The print is so cute and fits true to size. In love. Covered in a vivid striped pattern, this top is shaped to a bandeau style that enhances tanning potential, as well as a pair of greatly shaped bottoms to accentuate that booty. Team yours with sandals and oversized shades for a glamorous vacation look.